With only two episodes left of Game of Thrones Season 7, I have some major questions where the Iron Islands crew is concerned: What does Euron (and/or Cersei) have in store for Yara?! And how will Theon play into that, if at all? You’ll recall that Euron and his men attacked Yara and Theon’s fleet as they were en route to King’s Landing, as part of a strategy to put Dany on the Iron Throne. Their plan was good idea in theory, but very quickly went up in flames. In the fight, two of the Sand sisters were killed, along with many others. And Euron presented Theon with the chance to save Yara, but Theon instead jumped ship — literally. So, Euron brought Ellaria and her daughter Tyene to King’s Landing as Cersei’s “gift,” and he brought Yara with him too. 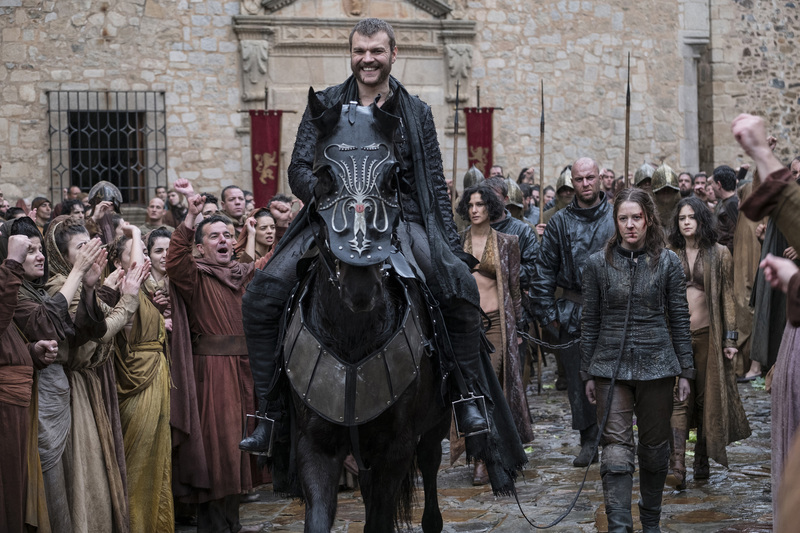 We know the brutal end that Ellaria and Tyene met, but the last we saw of Yara was Euron parading her through King’s Landing with the Dornish duo. So I ask again: What does Euron (and/or Cersei) have in store for Yara? We’re now going on three episodes without Yara, but there has to be a reveal coming soon, right? Assuming that Cersei is fully in control, she could be keeping her alive as some sort of leverage. Perhaps she thinks Yara could serve in the fight against Dany and that she could clue her in on Dany’s strategy. Though, I doubt Yara would give into that because she’s a woman of principle and an overall rockstar. Or maybe she’s holding her hostage in the event that #TeamCersei needs to make some sort of trade. Even worse, she could be torturing her for rebelling against her current position on the Iron Throne. There are so many possibilities, but my guess is that whatever is in store for her is definitely not good. Yes, a lot of other crazy stuff has gone down since we saw Yara last. There was the Loot Train Attack and the return of Gendry, and now Jon Snow and his motley crew are heading beyond the Wall to face White Walkers — and so much more. So it’s possible that maybe that’s why we haven’t gotten to Yara in some time. There’s just too much story to cover elsewhere. But my guess is that we haven’t seen Yara in a while for a better, more significant reason, and that she and Euron will come back into the drama in some big and important way. Because if not, wouldn’t we have seen her meet a similar end like Ellaria and Tyene? And if she does come back in some big and important way, perhaps Theon has a shot at redemption. We saw him get saved from the water following Euron’s attack and return to Dragonstone — where Jon was far from happy to see him. Even so, he’s back with Yara’s ally Dany now, so there’s bound to be more ahead here, right? 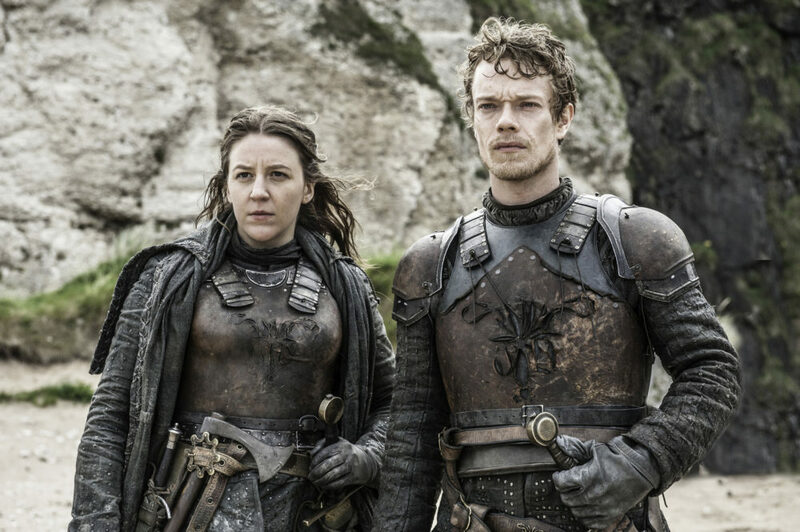 Though I don’t think Theon needs to redeem himself — the attack certainly brought back his traumatic tenure as Reek — it would be nice for him to be the one to help his sister. Game of Thrones airs on Sundays, and here’s hoping we find out about Yara/Theon/Euron/Cersei sooner rather than later.